Pitschi doesn’t care for the rough and tumble and mischievous fun of kitten play, but instead dreams of being something else – a chicken, perhaps, or a goat, or a rabbit...for after all, anything is better than being a cat! 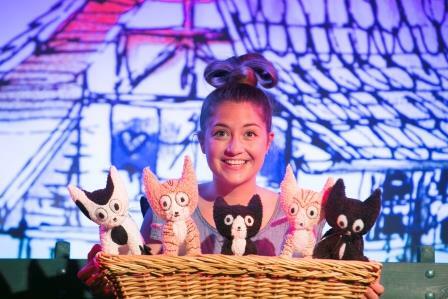 This original production uses a rich mix of story-telling, physical theatre, music and song to tell the story of a kitten that learns to be happy by being exactly what she is. Come and enjoy this classic Swiss story that has delighted generations of children - and cat lovers - all around the world.